Home Entertainment What is Lee Joon-gi’s Net Worth Now? Are You Curious About Lee Joon-gi’s Net Worth? It is not a secret that being a celebrity seems like the easiest and most effective way to gain popularity, reputation, admirers, and more importantly, money. In the entertainment industry of South Korea, the public regards actors and actresses as the highest paying professionals, who are definitely getting better paid than the other occupations in the same industry. Is this case, does the same apply to Lee Jun-ki as well? 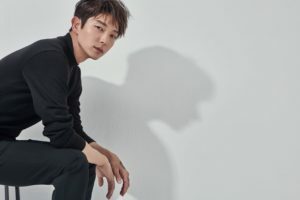 In this article, Channel-Korea will discover about Lee Joon-gi’s Net Worth and Asset that he has acquired ever since his debut. Therefore, keep on reading! Lee Joon-gi’s career skyrocketed thanks to his supporting role in the film The King and the Clown and My Girl. 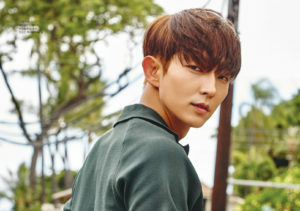 Despite being involved in a contractual dispute with his former agency in September 2008, for which he was being sued for $450,225 for breach of contract and accused of hiding $900,290 in an attempt to establish his own agency, Lee Joon-gi remained unbothered and came back after his military discharge with hit projects. Such are Arang and the Magistrate, which has become the most expensive drama sold to Japan by the broadcasting station MBC, and Moon Lovers: Scarlet Heart Ryeo, a Korean remake of the Chinese drama, with a budget of approximately $13 million. However, is Lee Joon-gi’s salary as high as the budget and sales of his dramas? According to the industry’s insider, Lee Joon-gi was paid around $45,500 per episode in his dramas. The number might have changed due to the increasing popularity of his drama Moon Lovers, and the long-run hit movie Criminal Minds, demonstrating his praiseworthy acting skills. In March 2017, Lee Joon-gi briefly shows his modern house during his appearance on tvN’s My Ear’s Candy with actress Park Min-young. In the video below, we are able to take a peek at the cabinet full of awards that Lee Joon-gi received for his outstanding acting skills.